Kari has been with Wernick Family Dentistry for 2 1/2 years out of the 26 years that she has spent in the dental field. She has enjoyed a number of different positions including dental and orthodontic assisting, as well as working as a patient and insurance coordinator. After utilizing Dr. Wernick's office strictly as a patient for 12 years, she jumped at the opportunity to work in the office. She states that she appreciates most the high standard of care that the office staff provides and the knowledge that no other dental office has been able to duplicate. She is proud to be one of Wernick Family Dentistry's Flossy Ladies. Kari is also happily married and proud parent of 3 children. She is very adventurous and loves traveling. Recently, she and her husband went to Peru and climbed Machu Picchu. She plans on skiing the Alps in 2018, hiking Patagonia in 2019, and hiking the Camino de Santiago in 2020. Her saying for life is "The more you do it, the more you do it, the less you do it, the less you do it" and they choose to just do it. 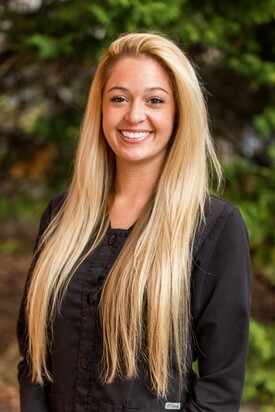 Ashley is our newest treatment coordinator having joined Wernick Family Dentistry in 2017, however she has been in the dental field since 2012. Ashley's ability to adapt quickly and her caring personality makes her a perfect fit for our treatment plan coordinator position, who reviews treatment options, estimates, and does it with a beautiful smile on her face. Ashley loves reading and spending quality time with her husband and two dogs. Ashley's personal life motto is to "Just be happy and kind to others." Marissa joined the dental field at an oral surgeon's office and she joined Wernick Family Dentistry in 2014. Marissa has worked in the office as a patient coordinator, dental assistant, and now office administrator and she is passionate about providing the complete patient experience, including compassion, comfort, and knowledge of dentistry. Marissa and her husband Aaron both play and coach indoor and beach volleyball and are passionate about staying physically fit, both by way of strength training and clean eating. Marissa hopes that one day her 4-year old son Naenoa (Nye-Noah) will grow to love the dental field, too. 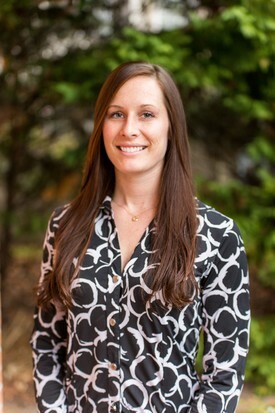 Teryn first trained as a dental assistant in 1994 by Dr. Wernick and was brought on the staff in a temporary position. She started her career in business management in the mid-80's and attended college for business but quickly took a turn to become an "at-home" mom. She frequented the office and filled in as needed for the next 20 years and joined our dental team full time as the Office Manager seven years ago. Before then, she spent a great deal of her time either teaching dance at Denise Wall's Dance Energy, aerobics at Wareing's Gym, or teaching skiing at Wintergreen or Snowshoe where she obtained her Level II PSIA certification. She teaches skiing in the winter at Killington Resort in Vermont. She insists she has five children, Kellan (22) and Keith (16), and three puppy dogs, Shelby (10), Po (4) and Bandit (2). She is a proactive model to the Modern Dental Office incorporating everything form Chart-less Records to compliance for HIPAA secured and encrypted electronic services. She constantly receives training to offer the patients and staff the very latest and best services in the field. Her efforts in bringing the office to become chart-less and paperless have led our practice to serve as a Beta for our software company. This allows us the opportunity to work on the development of the software before it is launched to over a quarter million dental offices throughout the country. Teryn loves skiing and spending time with her family. She is also a very avid and strong volunteer in the community. She recently wrote a book on HIPAA for medical practices that helps offices understand their true requirement qualifications which develops policies and training programs. Her love for computers and technology has earned her a new trip to college with plans to begin this winter for Web Design and Marketing. 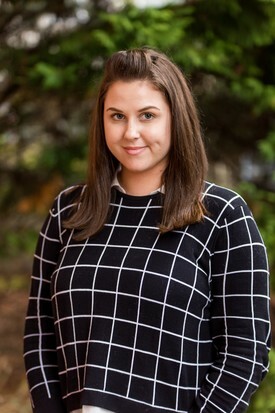 Chantelle grew up in Virginia Beach and attended Old Dominion University where she received a Bachelor degree in both Dental Hygiene and Psychology. She has been part of our team since 2011, and her love for the dental field has grown exponentially ever since. 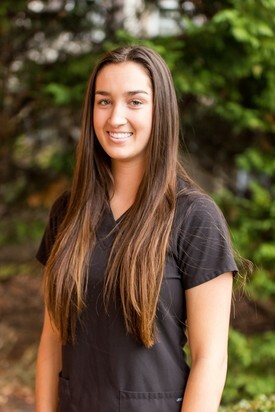 Chantelle truly loves the connections she makes with her patients and being able to make those patients feel comfortable in the dental office is her main priority. When Chantelle is not working in the dental office, she loves gardening, hot yoga and hanging out with her husband, A.J. 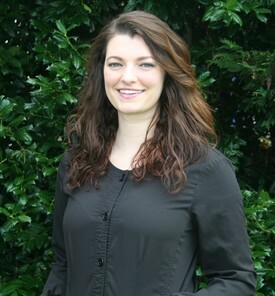 Laura has been in the dental field since 2010 and joined Wernick Family Dentistry is 2016. She completed her degree in Fort Lauderdale, Florida and came back to Virginia Beach to raise her two children. Laura admits that she is truly thankful for having found a dedicated, family oriented team where she feels at home. She credits her passion for dentistry since the age of five when she first visited her Dentist. Since then, she always knew that she wanted to be in the dental field to help others achieve a great oral health. 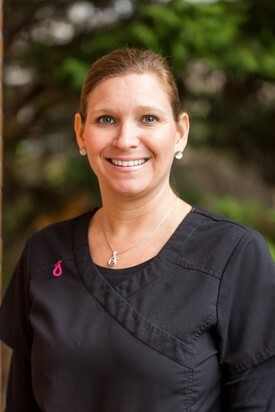 Her happiness and satisfaction is often credited to her rewarding interactions with her patients by educating and improving their dental and overall health. Laura enjoys spending time with her husband and two children, attending car shows, photography and traveling. She is fluent in Spanish and has a great sense of humor. Austin grew up in Virginia Beach and graduated from Old Dominion University with a degree in Dental Hygiene in 2010. She was part of the Wernick Dentistry team before she moved to Chicago in 2016. She spent 2 years there but is happy to be back home to Virginia Beach and to her Wernick Dentistry family. Austin loves connecting with people and using humor to make each person's dental experience a little more fun. When Austin is not working, she enjoys spending time with her family, paddle boarding, or planning her next trip. 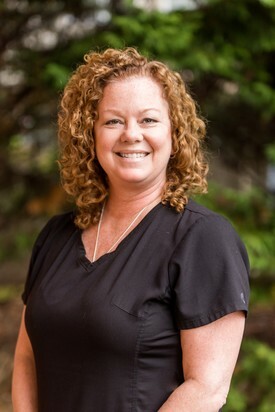 Becky has been a registered dental hygienist for over twenty two years and has spent the last five years taking care of patients at Wernick Family Dentistry. She graduated with honors and received her Bachelor of Science degree for Dental Hygiene at the University of North Carolina at Chapel Hill. She has been licensed to treat patients in NC, TN, AL, and VA. Additionally, she is licensed in the state of Virginia to administer local anesthesia. Becky is an active member of the American Dental Hygiene Association and keeps her education current through numerous CE courses and seminars while also participating in charity work through mission trips. She is always eager to jump in and help with patient care and availability. Becky has been a resident of Virginia Beach for nine years. When she is not helping patients with their oral health care, she is busy taking care of her two sons (ages 13 and 16), her husband of 21 years, and their two dogs. 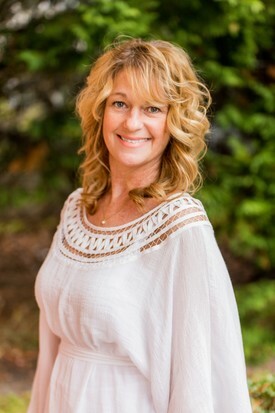 Kari has been in dentistry since 1985, serving as both a dental assistant and at the front desk. She currently is the Clinical Director at Wernick Family Dentistry. She enjoys helping patients relax and have a good experience while in the chair. 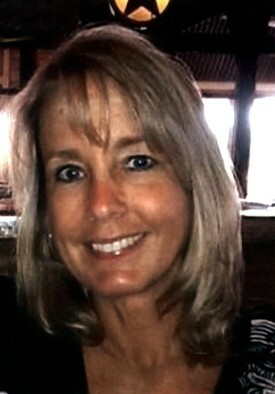 She has worked in multiple offices in Hampton Roads and on the Outer Banks. Kari has one son, Will ,who is 17 and will be heading off to college soon. She loves living at the Oceanfront and riding bikes on the boardwalk. 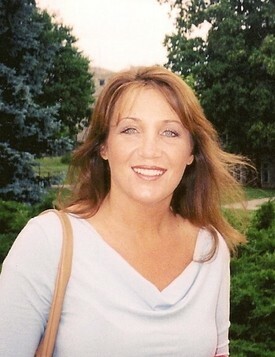 Michelle started her career in dentistry as a dental assistant in July of 1994. The greatest reward in being a dental assistant is helping patients and making them feel comfortable in a dental atmosphere and bringing smiles to their faces. Along with being a dental assistant, she oversees the lab and lab cases and is the OSHA Coordinator for the practice. In Michelle's free time, she loves spending time with her family, taking her dog for walks with her husband, going to the beach and reading books. Jessica has been a part of our team since November of 2016. Jessica previously attended Kellam High school where she spent most of her time on the volleyball court or working out in the gym. 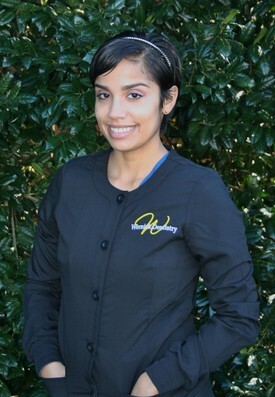 Jessica then pursued a career in the dental field through attending Practical Dental Assisting of Virginia Beach, through which she earned her Certificate in Radiation and Infection Control and is working towards getting her CDA. Jessica enjoys going snowboarding and spending time at the beach with friends and family. Zulmary grew up in Massachusetts and has moved to Virginia as a military wife. 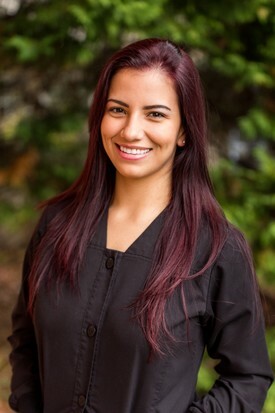 While Zulmary has been assisting since 2014, she joined Wernick Dentistry in the fall of 2018 and is proving to be a wonderful fit for the office. Zulmary, who also goes by "Z" enjoys getting to know her patients and making sure they are as comfortable as possible during their visit. In her free time, Zulmary enjoys spending time with her husband and 2 children, reading, and painting. Zulmary is fluent in Spanish and has a witty sense of humor.